One in four (25 percent) of teenagers in the United States use Vine, Twitter’s short video sharing social network, reveals new data from GlobalWebIndex. The States is the top overall market for Vine, where 9 percent of all internet users are active on the product (meaning, they’ve used Vine in the past month), but it’s teenagers who dominate, both in the U.S. and elsewhere. 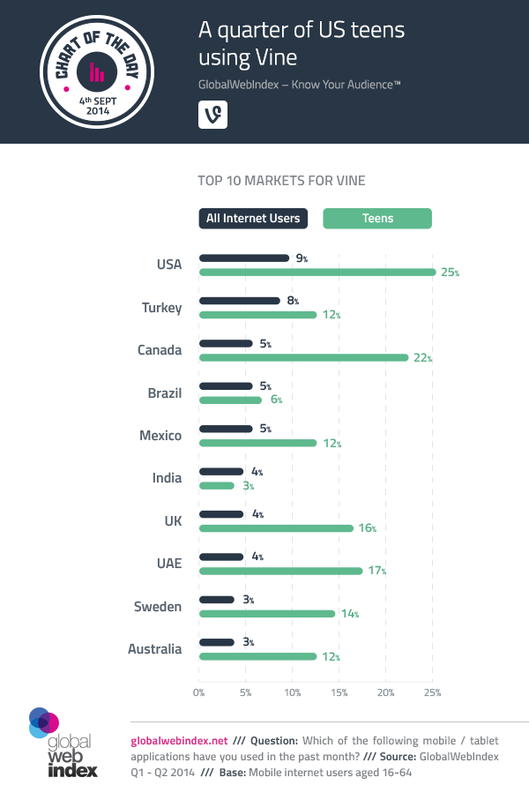 Canada (22 percent of teens), the UAE (17 percent) and the United Kingdom (16 percent) are also strong areas for Vine amongst teenage users.